My team and I look forward to welcoming you as our guest at Banyan Tree Club & Spa Seoul. Banyan Tree Club and Spa Seoul is Banyan Tree's first urban resort and membership club. 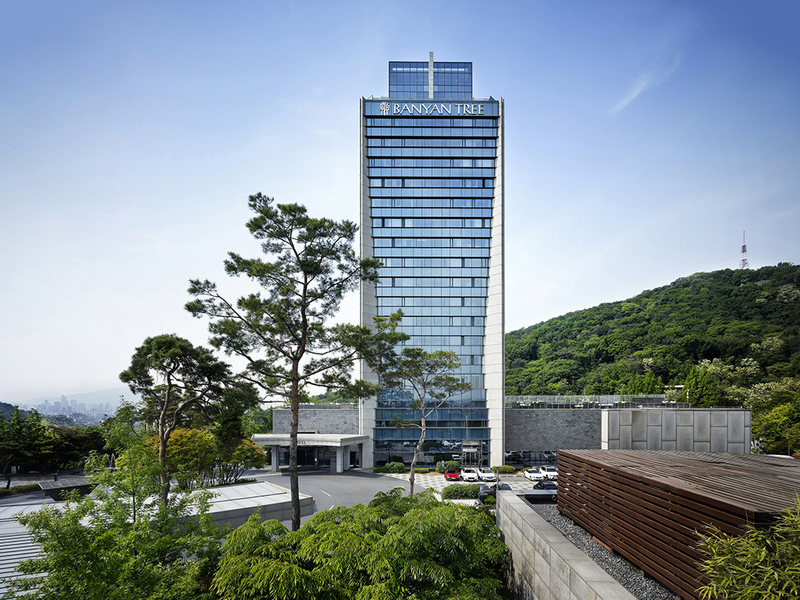 The resort is less than an hour's drive from Incheon international airport and just 10 minutes from downtown Seoul. Come into the heart of Banyan Tree in one of the world's most glamorous and beloved cities, and enter a sphere of wellness and peace. Indulge in a tempting and enticing variety of breakfast food each morning, choosing from a diverse choice of salads, sandwiches and Korean dishes for lunch and dinner. Located on the first floor of The Festa building, Festa Dining presents a new era of contemporary dining. With the freshest ingredients from local fields, mountains and ocean, Festa Dining features a wide array of creative dishes for lunch and dinner. Granum dining lounge, coming from latin meaning granite, features exquisite granite interior finishing with Southeast Asian classics. Come enjoy dining with a cozy fireplace and an open kitchen where you can join in on the dynamics. Offering Mediterranean, Asian and Korean cuisines, this restaurant serves the best of each culture's traditions. The Moon Bar located on the 20th and 21th floor, the highest level of our hotel, gives you a panoramic view of Namsan and breathtaking night view of Seoul. We offer sophisticated tapas foods with premium whisky selection. An exclusive nook for privileged club members and in-house resort guests, the Member's Lounge is a splendid spot for relaxing over coffee, tea and, for those with a weakness for sweet things, freshly baked cakes and pastries. Indulge in an enticing variety of breakfast food, choosing from a diverse choice of dishes for lunch and dinner. with an excellent drinks menu, San 5-5 makes a convenient spot for those seeking a refreshing steam in the adjoining sauna room.